Israeli settlements in the West Bank and East Jerusalem are segregated housing units built by Israel for the use of Israeli Jews on Palestinian land occupied by the Israeli army during the June 1967 War. Their purpose is to cement permanent Israeli control over the occupied Palestinian territories and to prevent the creation of an independent Palestinian state in them. All Israeli settlements, including those in occupied East Jerusalem, violate international law and longstanding official US policy. Article 49 of the Fourth Geneva Convention states, “The Occupying Power shall not deport or transfer parts of its own civilian population into the territory it occupies.” The Hague Convention on the laws of war also forbids occupying powers from making permanent changes in the occupied territory unless it is a military necessity. While successive Israeli governments have argued that settlements are not illegal, a formerly classified document dated September 1967 shows that the legal counsel to Israel’s Foreign Ministry at the time advised the government of Prime Minister Levi Eshkol that “civilian settlement in the administered territories contravenes the explicit provisions of the Fourth Geneva Convention." 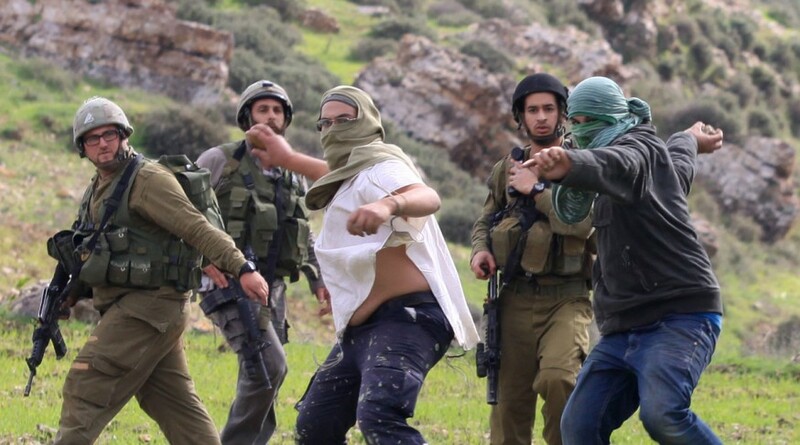 Palestinian famers and others are harassed, assaulted , and even murdered by heavily-armed extremist settlers, often while under the protection of Israeli soldiers. Restrictions on the movement of Palestinians imposed by the Israeli army for the convenience of settlers and the location of settlements dividing Palestinian population centers makes it nearly impossible for Palestinians in the West Bank and East Jerusalem to travel freely or live normal lives. Israel’s settlement enterprise and related infrastructure, including roads that are off limits to Palestinians, cover approximately 42% of the occupied West Bank. According to one study, Israel has spent an estimated $20 billion on settlements and related infrastructure since 1967. As part of an effort to encourage Israelis to move to settlements, Israel’s government provides the average settler with three times more in public subsidies than Israelis living within Israel’s internationally-recognized pre-1967 borders. Today, settlers are a powerful political force in Israel, exerting a strong influence on the government through parties like the extreme religious nationalist Jewish Home, counting among their number several cabinet ministers. After half a century, Israel’s settlement enterprise is deeply entrenched on the ground in the occupied territories and in Israeli society. Polls repeatedly show that nearly half of all Americans, and a majority of Democrats, would support sanctions or stronger action against Israel due to settlement construction.